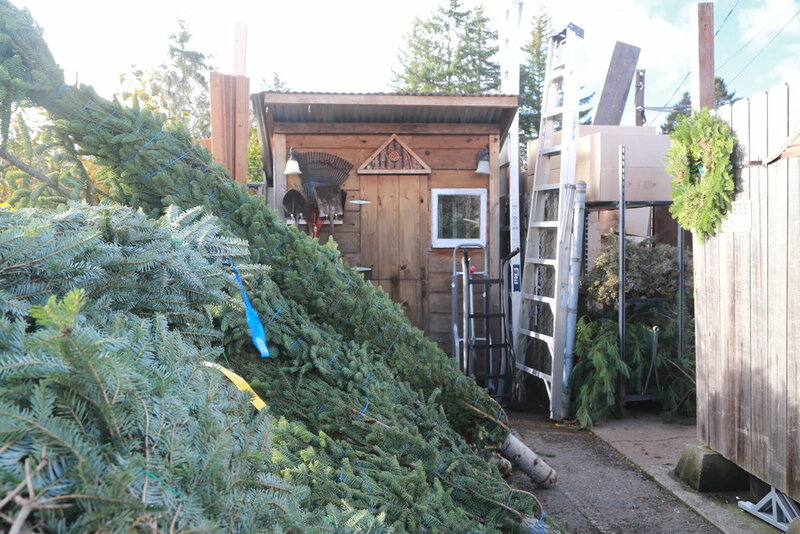 The other day Jasper stated, “ We need a tree so Santa has somewhere to put the presents” with that sentiment in mind we went searching for the perfect tree. 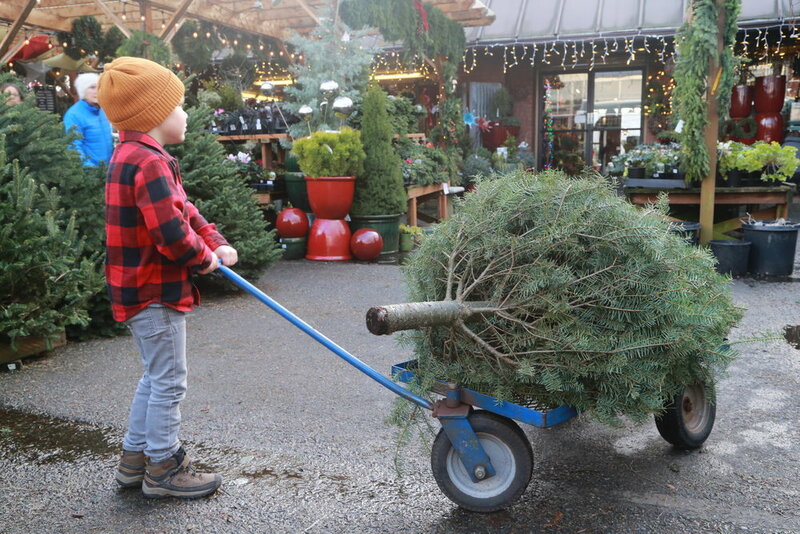 Once we arrived at our local nursery Jasper was eager to grab any old tree so long as he could place it on our wagon. 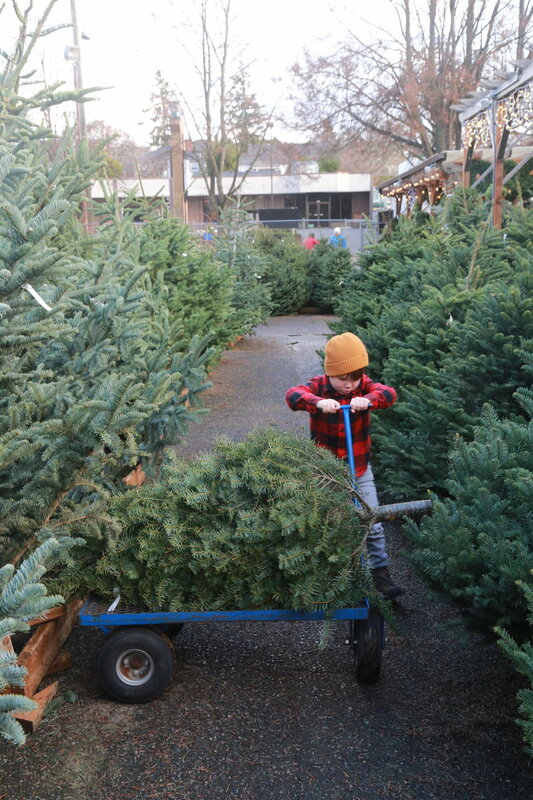 After surveying all our options we happily agree on a tree and put it on our wagon. Within a hour we were home and our tree was happily soaking in a bowl full of water waiting to be set up. Our tree hunting process was a good reminder how things needn’t be complicated, time consuming or complex for the experience to be joy filled and memorable. 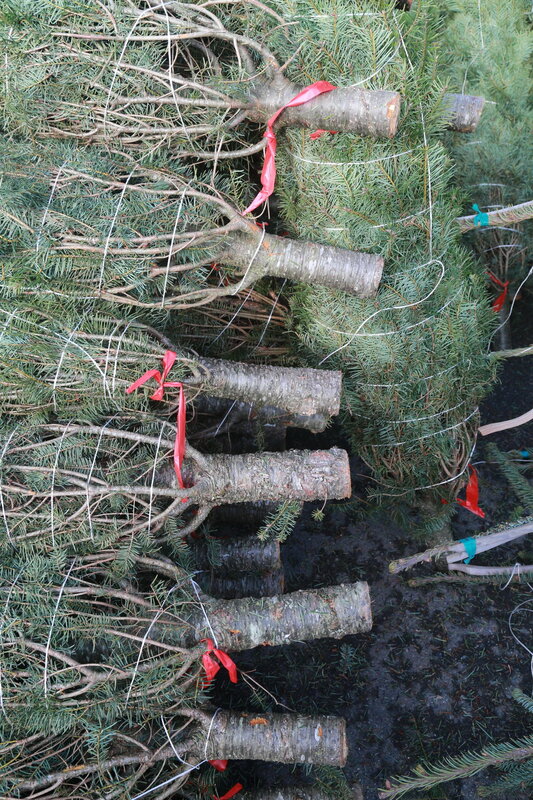 Picking a tree from our local nursery was probably as exciting to Jasper as going into the woods to cut down our own. Some of the highlights of our afternoon included: a friendly guy (also wearing plaid) who put a fresh cut in our tree with a chainsaw (talk about exciting to a four year old!) 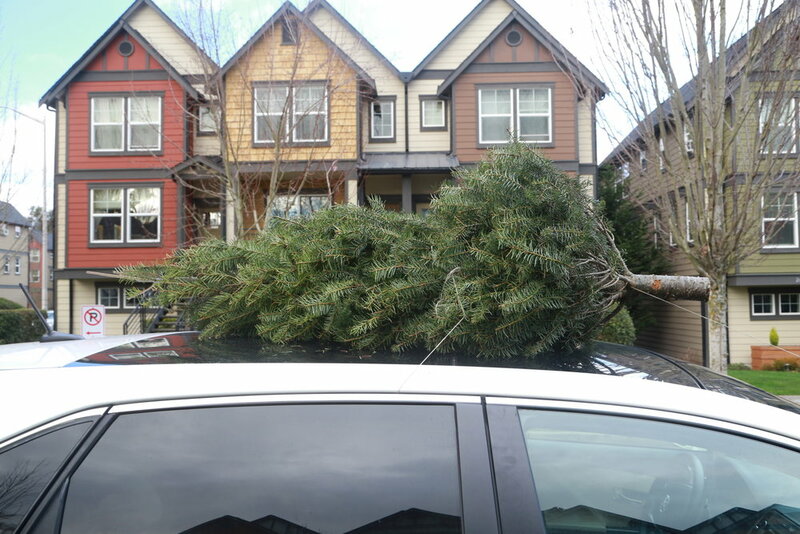 and then that same guy securing our tree to the top of our car and then driving home with a tree attached to the top of our car (so cool!) Regardless of what we are doing it is always the highlight of Jasper’s day when guys in particular are friendly to him. This holiday season I am trying hard to not over complicate things. The memories are in the making not in the stress of the planning or perfection. Even little lumberjacks do not like the feel of sap on their hands! Maneuvering that cart was tricky business. Waiting for a fresh cut for our tree. 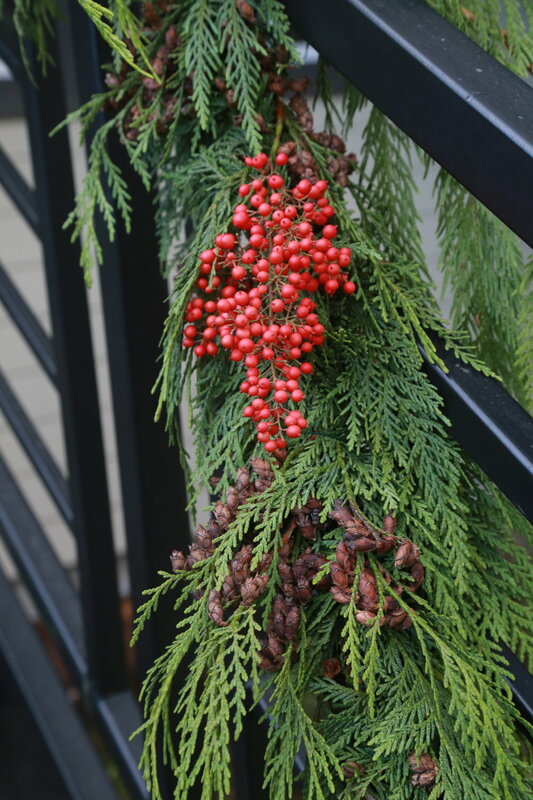 In this household my big holiday spurges will always be fresh garland, fresh wreaths and a freshly cut or potted tree. I like bringing the outdoors inside and fresh cedar, juniper and pine are among my favorite scents.